The 2019 Honda Civic performance features stay in line with Civic models from years passed, but they also ensure you still turn heads on the Babylon roads. Whether you’re looking for a vehicle that generates a good amount of power or one that offers impressive fuel efficiency, the new Honda Civic model is a great sedan to choose. Explore the 2019 Honda Civic performance features below. The Honda Civic specs delve into the two different engine options provided by this new sedan. In addition, you’ll be impressed with the Honda Civic MPG, transmission, and other performance features offered by this new model. In addition to performance specs, the Honda Civic is also fun to drive because of the driver assistance technologies through Honda Sensing™ that come with this new model. When you want a sedan that will keep you safe while on the go, this is the model to choose. 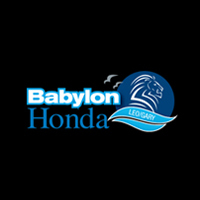 If your Lindenhurst commute could use the excitement offered by the 2019 Honda Civic, head to Babylon Honda to explore our inventory. While here, feel free to compare the Honda Civic vs. Honda Accord to ensure you’re bringing the right Honda model home. Contact us today to schedule your test drive.